Game Expansions and DLCs available for The Sims 4 Video Game. 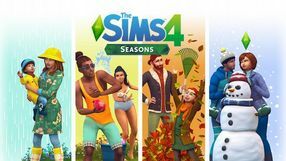 Seasons is another expansion pack to The Sims 4. The add-on introduces the titular seasons with their unique weather conditions and holidays. It also expands career options, the list of available items and provides an opportunity to participate in new activities. Another game pack for the popular life simulation game The Sims 4 by EA Maxis, in which you can visit the jungle in the land of Selvadorada and explore the ruins of an ancient civilization. The pack features many new adventures and novelties to discover. 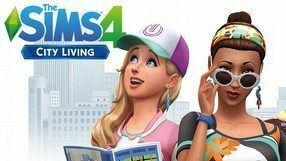 Another expansion for the popular life simulator The Sims 4 from EA Maxis company. 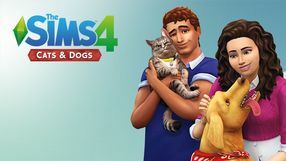 The Sims 4: Cats & Dogs introduces titular animals, letting each family of sims take a quadruped pet under their roof. Thanks to the “Create Animal” we can create our own four-legged pupil and customize its look and character so it fits our preferences. We can also cross-breed selected races and adjust things like color of fur, shape of ears and the tail, as well as choose from many clothes and other animal accessories, like collars, scarfs and ribbons. Lastly, there are new decorative elements and items for our pets, as well as veterinary clinics that let us not only treat our quadruped friends, but also to become vets ourselves with our own clinic. Another expansion pack for the 2014 life simulation game The Sims 4 by EA Maxis. As the title implies, Parenthood focuses mostly on the virtual kids of your Sims. The pack features e.g. expanded interactions with children and parental options, and a new “parenting” skill, which affects the offspring's obedience and their relationship with their parents. There are also various school projects given by teachers, which can be done together with your Sim son or daughter, gaining their trust and respect. You can also e.g. make school lunches for your children. Additionally, the pack adds a board with a schedule for your family, new interactive objects (such as building blocks or teen diary), and new clothes and furniture. Another large expansion for the 2014 game The Sims 4 by EA Maxis. City Living adds a new area of the city of San Myshuno, where you can find e.g. noisy neighbors, administrators, who want their rent money badly, exotic restaurants, and many more interesting places and events. Your Sims can now live in apartments and luxury suites, and can choose from three new career options, each connected with the city life: politician, art critic, and social media expert. The expansion allows your Sims to live in one of the four San Myshuno districts, each of them having a different architectural style, possibilities, and features, such as e.g. street festivals or karaoke bars. The game also features new activities, which your Sims can perform either at home or downtown. The third game pack to the fourth installment of the cult series of life simulation games developed by EA Maxis. As the title of the expansion suggests, The Sims 4: Dine Out concentrates on the theme of cooking. It allows the Sims to visit a restaurant and eat a meal with friends outside the house. That’s not all – one can create his own restaurant which will function even when the owner is not there. The player can choose from a few predefined restaurant designs or create a new one from scratch by choosing its name, logo, style, interior decorations, clothes of the employees and menu. What’s interesting, not only the expansion offers most popular traditional meals from all over the world, but also cooking art from the experimental branch of molecular kitchen. The next big expansion pack for The Sims 4, a game released by EA company in September 2014. Just like the previously released Get to Work pack, Get Together does not change the gameplay itself, but introduces new activities, this time focusing on social features. Players and their sims visit a place called Windenburg, heavily inspired by the European style of architecture, where many attractions await them, including hedge mazes, old ruins, and beautiful ponds. There are also places like cafes, pubs, or dance clubs, where the can sims get together and meet new people. Moreover, the add-on features a plenty of new activities, e.g. bonfires, football matches, or dance parties. Sims can also create and join groups. As always, the expansion comes with some minor extras, such as new clothing and furniture. The second game pack for the fourth installment of the wildly popular game series, The Sims. The expansion adds four new buildings, in which your Sims may relax a bit. The include the Aham Ashram Yoga Studio, where your Sims may learn yoga, the Center of Center Massage, offering various massaging services, the Perfect Balance Spa, featuring a sauna and a meditation spot, and a gym, where your Sims may work out their tension. You can also create your own relaxation center. Spa Day features also the new Inner Harmony ability, allowing your Sims to control their body and mind better. The expansion adds also some lesser novelties, such as the New Age radio station, new outfits and hairstyles, mud baths, and also a new way to die — death by overheating in a sauna. 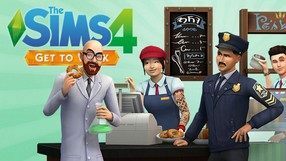 The Sims 4: Get to Work is the first big expansion to the fourth game in The Sims series owned and developed by EA Maxis since 2000. Just like the add-ons to the previous games from the series, Get to Work introduces new features to the base game, focusing on the work aspect of our Sims' life. There are three possible career paths available: police officer, scientist, and a doctor. Like in real life, we begin as a regular employee and climb the career ladder until we get what we want. Along with the new professions, EA Maxis introduced new buildings, like the hospital, police station, or a laboratory. Two new skills for our Sims were also added (photography and baking), which we can use, for example, to start our own business. The presence of Aliens makes the game a bit more interesting. They hide among the Sims, and when we discover their real identity, we can travel to a mysterious world. 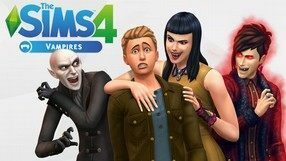 The first paid DLC for the 2014 game The Sims 4 by Maxis. The so-called “game pack” is located half-way between accessory packs, known from the previous installments, and the classic “big” expansions. The most important aspect of Outdoor Retreat is the new mountainous location called Granite Falls. It's an clean place, where the tired Sims can find respite from the problems of their daily lives. In Granite Falls, they can participate in a range of new activities, such as sleeping in a tent, playing camping games, roasting sausages over a bonfire, and gathering herbs (which also involves a brand new Herbalism skill). There are also several smaller novelties, e.g. the bear costume and the NPC wearing them, who annoys the vacationing Sims.